Make the Resolution to Read To Your Children More This Year! Books were given for review for my honest opinion. No other compensation was given. I love books! I especially love children's books and I love reading them to my children! It is my most favorite part of the day - when we all curl up with a funny, sweet, loving, or silly book at the end of the day! My children and I have been enjoying these new books from Random House Books! Check them out below - they are awesome! 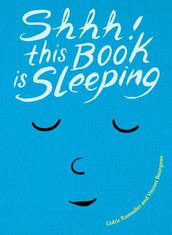 This book is an original interactive board book that begs to be cuddled and kissed goodnight! This one is my daughter's favorite! She has heard it so many times that she loves to read it to me now before bed!!! 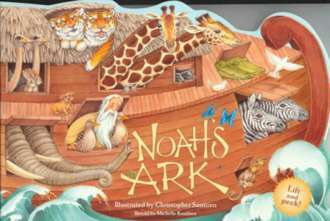 The tale of Noah’s ark, one of the most enduring stories of all time, is now available as a board book full of 30 fun flaps. Children will love flipping the pages, lifting the flaps, and finding their very favorite animals. From zebras and rabbits to elephants and dogs, this version of the treasured tale has something for everyone and is a perfect addition to any family’s library. My little guy loves to find the flaps as I read the book and open them! This book has quickly become his favorite! 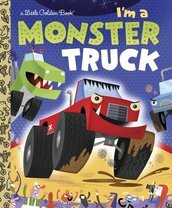 This book is a high-octane board book for truck fans to start their engines and ride along with Mudenstein and his mammoth machine friends for all their crashing, smashing fun! Mudenstein is a good ol' boy monster truck who loves life in the arena! See his tall tires grab the dirt as he crushes cars and takes on a fire-breathing crane. Meet his buddy Billy Wrecks and the other demolition derby boys! Lively text and high-octane artwork make this a perfect book for preschoolers who love all things vehicular. This is a reassuring board book conveying unconditional love and the joy of reading together. ALSO AVAILABLE IN A SPANISH LANGUAGE EDITION, ¡TE AMO, TE ABRAZO, LEO CONTIGO! “There are three things I’ll always do . 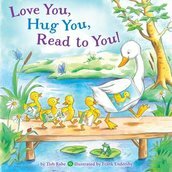 . . love you, hug you, read to you!” The simple promise of togetherness offered in this bilingual (Spanish and English) board book is enhanced by interactive prompts throughout, encouraging parents to engage with their child while reading. Studies show that asking questions, like the ones in this book, helps children learn to read faster than if they just listen to a story. Love and literacy are gifts we can give to our children every day! This book is my favorite to read to all my children so they never forget I love them, love to hug them and also love to read to them!!! Make time for story time with your children this year and get started with these great books!